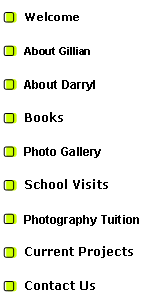 A fun educational book for children "What am I?" 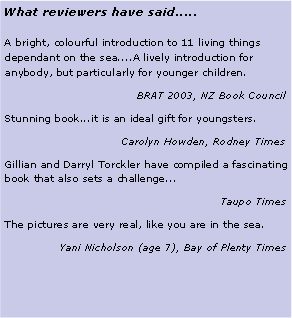 by Darryl and Gillian Torckler, Photographer & Writer: Books on New Zealand seas, underwater, landscapes, seascapes, pamoramas, underwater split-level water photography"
A colourful introduction to some of the most interesting creatures that live in our New Zealand seas. Children have fun solving the rhyming puzzles and questions to learn about the intriguing lifestyles of: yellow-eyed penguin; hermit crab, humpback whale; starfish; mako shark; seaweed; dusky dolphin; octopus; red-billed seagull, albatross and the seahorse. Beautifully illustrated with photography, including underwater photography.